While the gardens have a bit of that tattered look of early fall, there are beautiful and surprising moments all over the place. I am happy to report all our bee hives are doing a brisk business post bear visit,. The traffic in and out of the hives on these last warm days before winter is unreal. 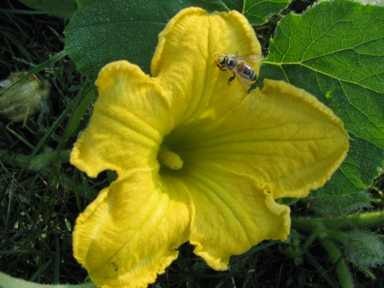 Here a bee friend finds this late season squash blossom that the first frost missed. 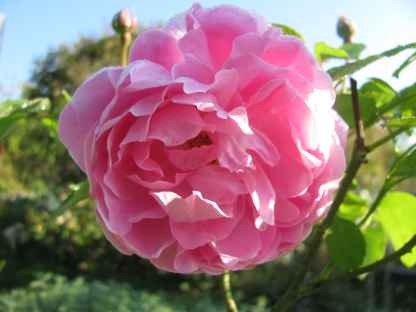 Especially sweet are the Roses that bloom a second time each season. Here the Mary Rose glows in the morning light. The Angels reminded me this morning that today, the Autumn Equinox, is the perfect time to talk to them and tell them your hopes and aspirations for the coming year. This day begins the cycle for the whole next year’s growing season and so too for our spiritual journeys. During the next three months the Angels will take your requests into account within the big arc of your life plan and come up with a template for change that will first become a plan of action at the Winter Solstice and then be put in full motion at the Vernal Equinox. This is the natural rhythm of the gardens as well as a natural rhythm for our spiritual lives. The Angels must respect our free will so it is important to be specific when we ask for what we want. I don’t mean asking for ruby slippers size 5- I mean asking for support with specific issues or concerns. As they constantly remind me, they can’t help us with the full range of our hopes and aspirations unless we ask for them to do so. Yes, they are always there to try and keep us safe and shower us in love, but their support can be much more fine tuned if we ask for fine tuned help. 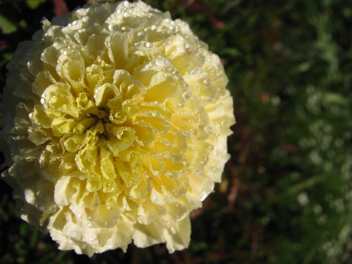 And don’t worry if you don’t read this blog on the Autumn Equinox. The whole fall season is a time of reflection and assimilation of all that has happened in the last year and a time to ask for specific help as it becomes clear what we still need support with. Blessings to you one and all on this gorgeous and special day of the year. I want to thank you particularly for your kindness and patience as we have gone through this growth spurt. With six new staff joining us in the last couple of weeks, we are beginning to be able to get all the orders out without burning the midnight oil. I wrote a training manual then Sophie greatly improved it, and now it has helped us do such a better job of explaining everything to our new people and making it that much more likely that your orders will go out just as you would like! Laura, the sixth person taught to ship this month got the benefit of all we learned from teaching Kelly, Alli, Tom, Miguel and Lilyâ€¦.. It has been fun to see Sophie step up to the plate in this teaching role and do such a wonderful job- So a big shout out to Sophie! As this week ended we had almost everybody trained to ship, invoice and email- soon we will tackle the phones! When Emily lived in Sicily and created our Sicily and Santorini Flower Essence collection from some wonderful Mediterranean Flowers, she made several Flower Essences from Flowers native to Tunisia and also travelled to Tunisia which is only one hundred and five miles from the Sicilian coast. We have been listening to Emily’s stories of Tunisia again and asking different questions than we did the first time when we focused on descriptions of Emily riding a camel. We have actually been thinking of Tunisia a lot this last year because Jim’s best friend, Jake Walles, is the ambassador to Tunisia for the United States. Tunisia is next door to Libya and this was just one of many reasons that Jake was very good friends with Chris Stevens, the Ambassador to Libya who died last week in Benghazi. Jake and Chris worked together during several State Department postings and this spring, they actually shared a Senate confirmation hearing to become Ambassadors in the neighboring countries. Jim took a rare trip down to Washington DC this summer to see Jake sworn in as the Ambassador to Tunisia. The ceremony was at the State department, and it took Jim about two months to get clearance to attend the event. For this country mouse with a love for all things history, it was a really big deal for him to be there to bear witness to Jake’s career milestone. When Jim returned home, the thing he mentioned again and again was how Secretary of State Clinton spoke about Jake at the ceremony in a very personal way as a compatriot she knew well and genuinely respected. Jake has worked tirelessly for many presidents and Secretary of States. After a first posting in Amsterdam in the early eighties, Jake switched focus to the Middle East, and since then, he has had State department postings all over the Mediterranean and Middle East, including a posting as the charge d’affaires in Greece and consular general to the Jerusalem Embassy. He was posted in Tel Aviv when Saddam sent missiles into the city and has often been right in the middle of some very upsetting and dangerous situations. Since his early twenties, Jake has given his life to trying to help this region of the world. This week we are earnestly hoping he won’t literally lose his life to the conflict. Late Friday night, we were relieved to hear briefly from Jake that he is safe. We wonder what more we can do than pray. This morning I felt encouraged to turn my attention the Sicily & Santorini Essences again. 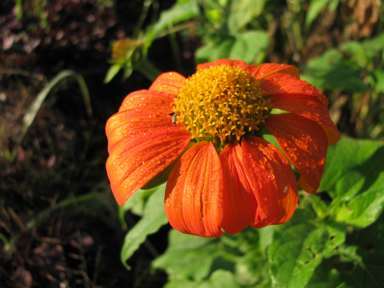 Flower and their Essence wisdom speak exactly to the healing concerns of the region in which they were grown and made. 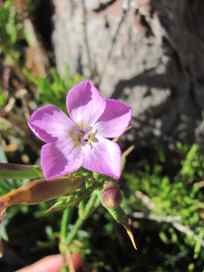 Feelings of disenfranchisement, powerlessness, separation and fear of our differences are issues which all humanity shares yet they are coming to a head here in this part of the world, and the region’s local Flower Essences address these issues. The Angels went deeper in explaining this link. They reminded me that while our tendency is to make explosive problems like these we see on our televisions something outside ourselves, what is happening in northern Africa is happening within all of us. As each of us own our own shadow parts and work to bring them into the light and heal these wounds, we help the whole planet. This is, in fact, a planet without boundaries so as we heal ourselves we heal the whole world. As I pursued my fall weekend activities including harvesting winter squash in an idyllic and peaceful country setting, it seemed a long way from the scene in front of the Tunisian Embassy where Jake works. But when Emily and I spent some very heated hours trying to sew book bags for her first grade classroom with a sewing machine with a mind of its own, wellâ€¦â€¦..I was reminded that greater calm and emotional balance is ALWAYS possible even in a quieter life, and I was encouraged to just take the Sicily and Santorini Essences again in the hopes that every little bit we all do from our quieter eddies will help to lighten the load of the whole planet. 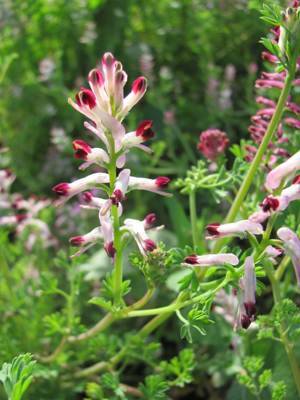 Ramping Fumitory offers wisdom about self articulation with good personal boundaries but without defensiveness. This elegant Flower sets an example of shifting the intense explosive color red into centered contained pale pink and white. It also suggests that balance of maintaining our own boundaries without losing ourselves to this concern. This has been one of the most popular of the Sicily and Santorini collection and no wonder. A longer description of this Essence is on the Sicliy and Santorini collection page of the website and in the new Guidebook too. 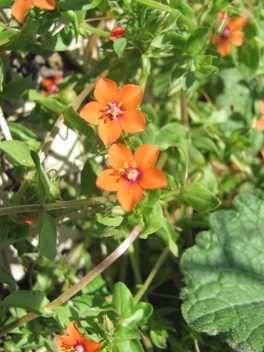 Seaside Flower from Taormina helps us be optimistic and positive in the face of harsh circumstances. 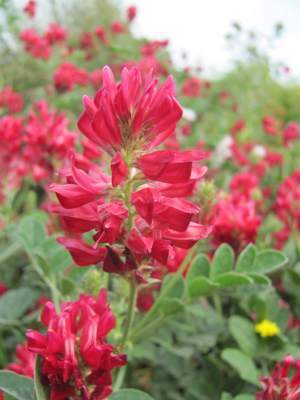 Flowers that flourish in extremely exposed terrain have to work so hard to express themselves. What a wonder it is that they express beauty and expansive welcoming good cheer despite the way circumstances make it so difficult for them to flourish. Such a lovely energetic reminder to us all! 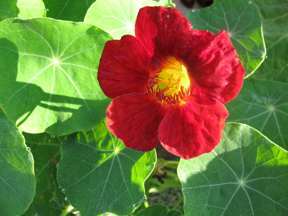 Red Flower from Santorini supports us to thrive again after things explode in our lives and helps us to respond to radical change with creativity, strength, fearlessness and adaptability not further violence. 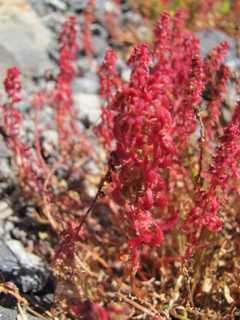 There is almost no soil on the caldera of the volcano in Santorini, yet the entire slice of land is covered in this Flower. For me this Flower Essence reminds us that there are always resources for us to flourish if we only remember to go inward. Tree Medick helps when external forces have made our lives heavy and we feel bogged down by helping us flood our energy systems with divine light and then hold and radiate this light as a natural state of being. 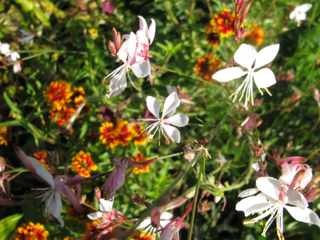 Maybe it was the name or maybe it was some old friendship we had but Tree Medick called to me a long time before we met, and I was so very happy when a Flower Essence friend in Barcelona sent me some of this remedy. When Emily returned from her trip with this Essence in tow, I was delighted to have it to share with all of you. 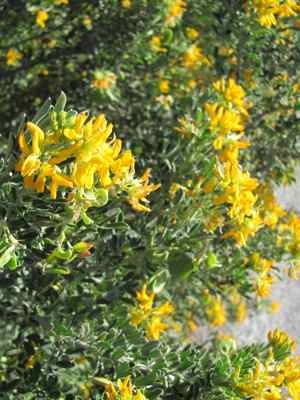 Tree Medick really does help us fill with light, hold this light and share this light in such a friendly inclusive way. 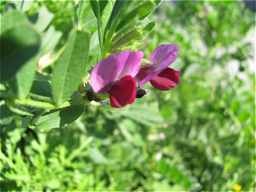 Sicilian Wild Sweet Pea‘s affirmation explains its energetic strength so well, I AM open to the truth of my situation and ready to begin a process of harmonious change. Sweet Pea from the Green Hope farm gardens is our number one remedy for sleep issues, but Sweet Pea also has a component of helping us with issues of community. Here, the original Sweet Pea from Sicily- the grand dame of all Sweet Peas- helps us get to the root of our issues and understand where things went wrong and what we can do about it. And this little powerhouse can remind us of that- no matter what the situation! Flower from La Marchesa support for when our journeys take us into the unknown or into places in-between. It also supports us during times when our ideas of who we are have been stripped from us and we aren’t yet sure where the whole process is taking us or who we will be on the other side of the experience. La Marchesa mean marsh and this Essence has cropped up a lot for people in those marshy situations of betwixt and between- in-between careers or jobs, in a state of transition from one role to another, in a place where everything has fallen away and the way forward is not yet clear. It helps us feel at ease with all these unknowns and supports us to relax in this place of unknowing, confident that new life and new direction will come. I love this Essence perhaps because so many of us need this one right now. 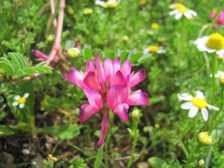 Italian Sainfoin holds wisdom about constructively managing our emotional response when something explodes in our lives or we experience violation or violence against us. It helps us find a balance in our emotions neither a passive response nor a reactive one but a creative transmutation of the energies. I love it’s I AM affirmation, I AM the creative transformation of all violence directed at me. This Italian Sainfoin Flower Essence was made in the west of Sicily on Motia, a tiny island that once was a hub of ancient civilization for the Phoenicians and Carthaginians until its destruction by the Greek tyrant Dionysius the elder of Syracuse in 379 BC. This Flower is found throughout the Mediterranean, but Emily making the Essence from Flowers at Motia brought an extra oomph to the Essence as this is a place that had to find its self identity after being violated. It is now the site of small art museum of very rare antiquities with the rest of the island left in a natural state. It is interesting to note that the ruins of Carthage, where the Carthaginians that settled Motia were from, lie in a suburb of Tunis, Tunisia. Carthage’s most famous citizen was Hannibal who tried to conquer the Roman empire in the Second Punic War (218-201 BC). After several surprise victories and a famous march through the Alps with elephants, Hannibal was defeated by the Romans in 202 BC and Carthage became a client state of Rome and her fourth most important city. Carthage was destroyed in 698. 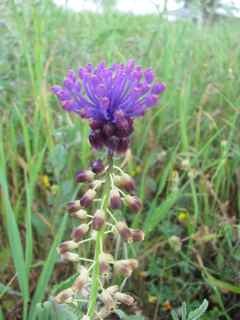 Tassel Hyacinth– If I had to pick one Flower Essence that most profoundly holds the vibration of peaceful co-existence as a global community, it is this one. Its I AM affirmation is, In the diversity of creation, I am the Unity of Life. 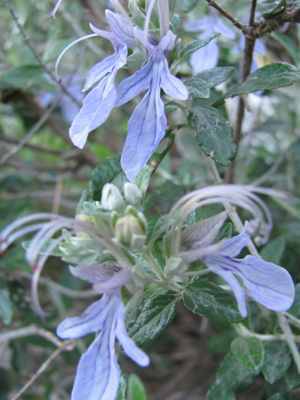 I am going to close with this beautiful Tunisian native plant, Tree Germander, which helps us find within ourselves our unique soul qualities then express these with great finesse and beauty. May this plant encourage us all to find what is true and beautiful within us and express it gently! September means different things to different creatures. As mentioned previously, for Ben, Jim and Emily, September brings a return to school as teachers or teachers in training. Not so for Will who remains a student with no choice but to read what his teachers slap in front of him. He showed me his pile of books for English yesterday. It is an understatement to say this is about the most dire, depressing pile of English books ever assembled on the planet. 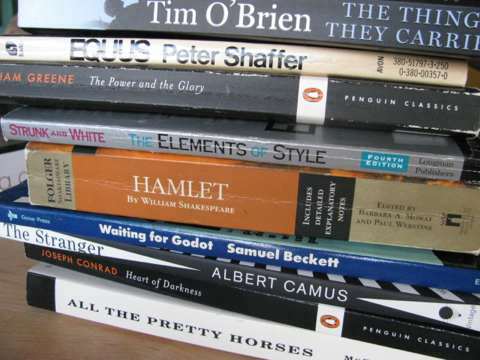 The stretch when he gets to read Waiting for Godot, The Stranger and Heart of Darkness should be particularly fun. Maybe it will be during mud season when we’ve had eight months of bad weather and it already takes true grit to get out of bed in the morning. For our wonderful new son-in-law, Miguel, September means finishing his job with Americorps doing work to help victims of Hurricane Irene and joining the team at Green Hope Farm. Today was Miguel’s first day at Green Hope Farm. It started at 4 am when a bear tried to destroy our four beehives. Jim and I heard the bear ripping off the lid of a hive, leapt from our bed and yelled our heads off to try and scare the bear away. Apparently our imitation of Maori warriors worked because the bear ran off after knocking over only one hive. By the time Miguel arrived a little after seven, we had put the hive back together, drunk a lot of coffee (Jim) and tea (me), and made a big batch of chills rellenos for Miguel to give him a taste of home on his first day in the saddle here. The garden landscape was also meant to comfort Miguel as it is flooded with a marvelous Mexican Flower right now, Mexican Torchflowers and a zillion pepper, tomatillo and tomato plants that I planted in a section of the garden I have called Calle Miguel ( and not without controversy as my own children want to know why I never named a part of the garden after them- boo hoo. In any case, it was wonderful to welcome Miguel aboard. We also welcomed new staffer Alli Howe last week, so we now have three of our new people with us: Tom Cardew, Alli Howe and Miguel. They are doing a great job learning all the different jobs. I have finally written a training manual for new staff, and all of us are editing this document to try and improve it before next week when another new person, Lilly Callahan, arrives. In the meantime, getting the hives through the night is the next goal. In just a few hours we will know if it was just September 5th that was all about honey for the bear or if September is going to be a month of honey maneuvers. Ironically, Miguel was very focused on bears when he moved here. Would he run into them in the woods or in any way be in danger from a bear? We laughed him off, explaining that he would be lucky if he EVER saw a bear around here. Since moving here last September, he has had a bear at his and Lizzy’s back door, a bear in his and Lizzy’s garbage and now today a bear almost greeting him on his first day of work here. Who is getting the last laugh now? This afternoon, Jim and I tied a string of bells in a ring around the hives and cinched three out of four hives together with canvas strapping. The bees in the fourth hive that got knocked apart are so mad they wouldn’t let Jim protect them with the strapping. He gave up after he had a couple dozen stings through his suit. The idea behind the strapping is that by tying the hive boxes and top and bottom together, the bears can knock the hives over but they won’t fall apart as the one did last night. I really hope we don’t have to find out tonight how this protection method works. 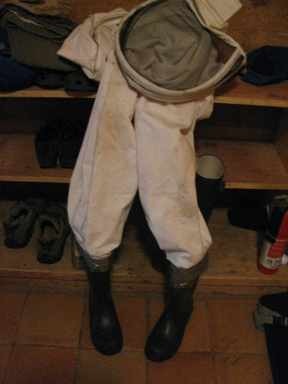 Like a fireman, Jim has taped the boots to his bee suit so he can don the garment extra fast, but I would be happy to have this suit molder on the vine and everyone get a good night’s sleep- except maybe Will who will be up reading one of his happy books.